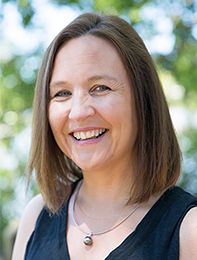 Fiona is married to Gary, and brings over 25 years of experience to both our Children’s Ministry subject and M2W, our 12 week ministry course for women (co-led with Robyn Bain). Fiona trained as a teacher at Oxford, taught for 7 years in England and Ireland, whilst doing student ministry and evangelism. After the Millars moved to Dublin in 2000, Fiona led the Children’s Ministry (teaching, writing material and training both paid and volunteer leaders) and Women’s Ministry (setting up a citywide network for those involved in teaching women the Bible). As well as looking after her daughters, Lucy, Sophie and Rebekah, Fiona is now involved in writing Children’s material, training new leaders, encouraging and supporting those involved in Women’s Ministry and teaching Scripture in her local school. She regularly speaks at Christian women’s events across Queensland and beyond. Fiona is currently working on a Masters in Education from University College London.